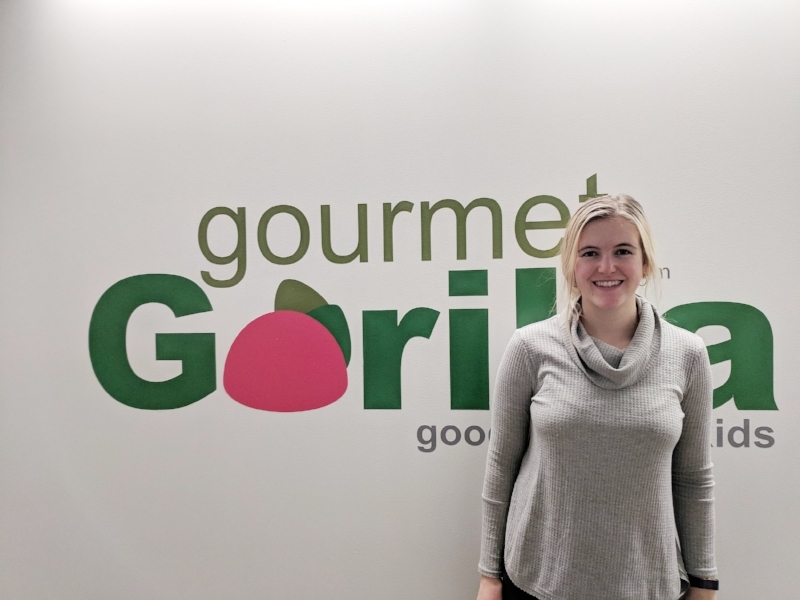 Gourmet Gorilla—Gorilla Chronicles — Welcome Our New Dietetics Intern: Tracey! Welcome Our New Dietetics Intern: Tracey! We are so thrilled that Tracey will be joining the Gourmet Gorilla team for the next month! Read on to learn more about our new intern! Hi my name is Tracey, and I am so excited to be working with Gourmet Gorilla for the next month as part of my Dietetic Internship! A little bit about myself, I graduated from Miami University in Ohio last May with a major in Dietetics and a minor in Management and Leadership. I have lived in Chicago for the past 10 years and before that lived in Florida, I have still have not gotten accustomed to the cold weather. I have a black lab named Ozzie, he is turning 3 in December; he is one of the most mischievous dogs you will ever meet and believes he is a lap dog. I also have 2 brothers, a younger and an older brother, so I am stuck in the middle. I am very passionate about nutrition and I am always experimenting and creating new healthy recipes, especially ones that involve chocolate. I hope to one day either work a professional sports team or have my own private practice. Looking forward to the next 4 weeks! Tracey was kind enough to share her very own Almon Joy Chia Seed Protein Pudding Recipe! This recipe is sure to be a hit with kids and adults alike! Enjoy!